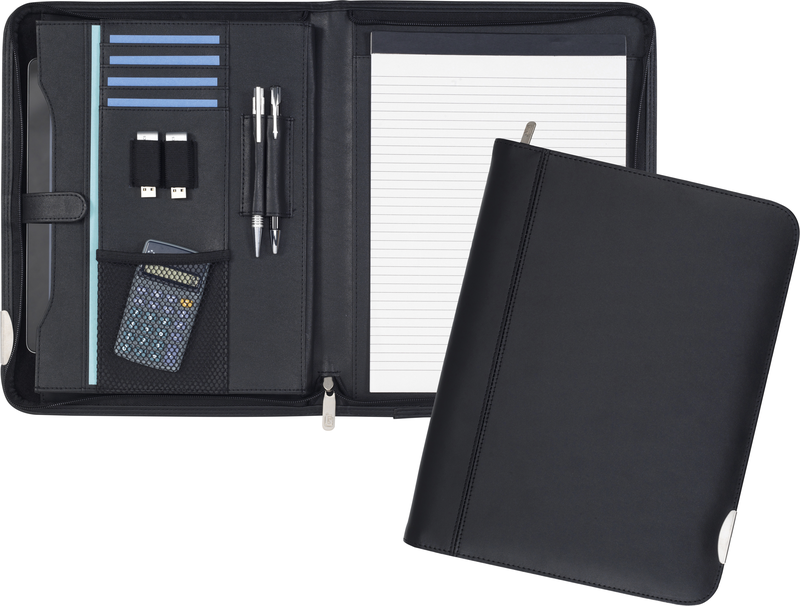 Zipped A4 sized Tablet PC Folio made from Bonded leather. Can accommodate most Tablet PCs in soft feel sleeve. C/w 20pp recycled notepad, USB holders, pen loop, mesh pocket and business card slots.